So, you’ve decided to buy a drone. You’ve probably seen some of the aerial footage pilots can get from their devices, or perhaps you’ve been witness to a racing drone’s incredible speed. Regardless, we’re glad you’re joining in on the fun. 1. Where will you be flying this drone? The first aspect you need to consider before buying a drone is where you’ll be flying it. This is an incredibly important distinction because you may not currently be aware of regulations that might force you to seriously alter what you have in mind. Current Federal Aviation Administration regulations have stated that you can’t fly over large collections of people nor can you pilot near a stadium or an airport. If you live in a city or near one of these institutions, you’ll need to be able to drive somewhere if you want to get into the hobby. Thankfully, there are a lot of options for drone enthusiasts. Many parks allow pilots to practice their hobby, as long as they follow FAA regulations about staying under 400 feet and keeping the drone within their line of sight. Knowing where you’re going to fly can help determine what kind of drone you need. 2. What will you be doing with it? Once you’ve picked out a few spots near your home that will allow you to fly a drone, it’s time to actually start considering what you’ll be doing with the device. This is of course entirely up to you, but beginners should probably just stick with the basics until they figure out the intricacies of this hobby. That means getting a simple understanding of flight patterns, evasion tactics as well as how to safely land the drone. Tom’s Guide’s Anna Attkisson has created an entire article detailing the best drones for each venture, with the best beginner UAV being the UDI U818A. One of the best aspects about this particular machine is its price. New versions of this drone sell for less than $100, which is enough to purchase a quality product without breaking the bank. On top of that, Attkisson stated that the rotors only cost about $3, which gives you some wiggle room in terms of crash landings. The downside of the UDI U818A is that it only gets about eight minutes of time in the air. Those who like taking a longer flight and have more money to spend should check out the Parrot Bebop 2, which Attkisson found to have an average flight time of 23 minutes. While this drone is going to cost you somewhere in the neighborhood of $600, Parrot’s high quality is undeniable. What’s more, the device’s 14 megapixel camera will allow you to take some pretty cool videos and pictures from the sky. 3. Where can you receive proper training? Now that you know what kind of drone you want, you need to figure out how to fly it. Spending money on a new drone just to watch it smash into a million pieces on your first flight is heartbreaking, which is why we recommend you receive some in-person training from an experienced pilot. 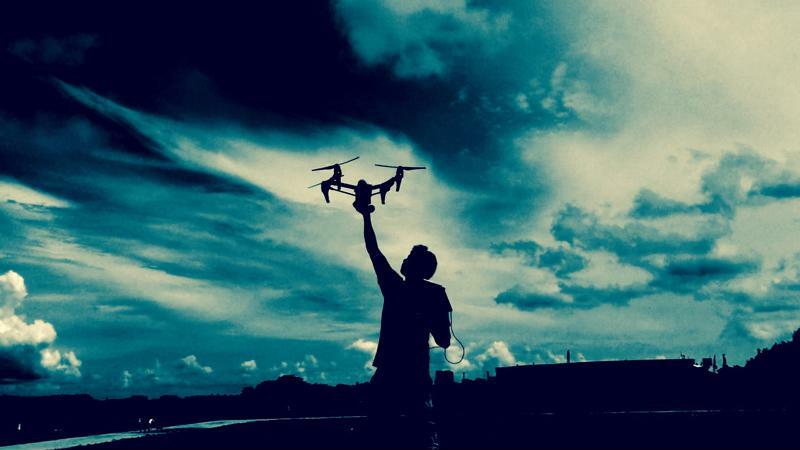 500 Below’s community of drone enthusiasts has an incredible amount of knowledge that they would love to share with you. The best part about the whole process is that you can earn back every penny you spend on lessons, as 500 Below allows you to train other pilots as soon as you have enough experience to show them the ropes.